Sharon L. Gasparo is committed to providing you with top-notch legal support. We approach every client with a focus on integrity, advocacy, and understanding. 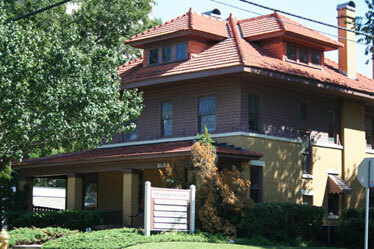 Sharon L. Gasparo, Esq., has an office in historic Riverside, at the Morris Building on Park Street. Though we are based in Jacksonville, Florida, we can handle your case in Clay, St. Johns, Baker or Nassau County. Sharon L. Gasparo has been practicing in the areas of divorce and family law for the past 15 years. She began her career at the Dade County Legal Aid Society representing indigent people. Gasparo opened her own law firm in 1998 and partnered with Tom Farrell, as Farrell & Gasparo. The practice operated in the Riverside community of Jacksonville, Florida, representing injured workers in Workers’ Compensation claims; family law clients in divorce, child custody, child support, modification and paternity. She continues to practice in Riverside at the law office of Sharon L. Gasparo, Esq. 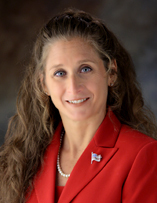 Professionally she is a member of the Family Law Inns of Court, Jacksonville Bar Association, Florida Bar, Jacksonville Women Lawyers, and the Catholic Lawyers Guild. Personally she is a member of the Jacksonville Junior League, Jaguars Booster Club, and the YMCA. She is proud to support No More Homeless Pets, Community Hospice of Northeast Florida, and Spina Bifida Association of Florida at Jacksonville.